I love my kids with every ounce of my being. But let’s face it, when they were in the newborn stage they were a touch inconsiderate of my needs. In the great debate of nature versus nurture, the ability to be considerate falls squarely into the “things you need to nurture into them” category. 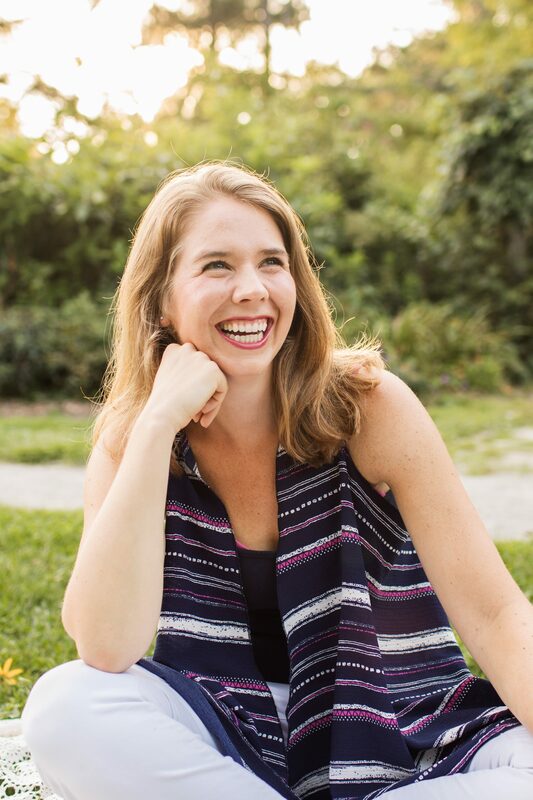 When I was pregnant with Jack, I had this vision that maternity leave would be full of baby snuggles, DIY photo shoots, and bouncing back to my pre baby body. ADORABLE. Instead it was more like acid reflux (him), constantly feeling in need of a shower (me), and crying (both of us.) We weren’t on the same page. For a while. 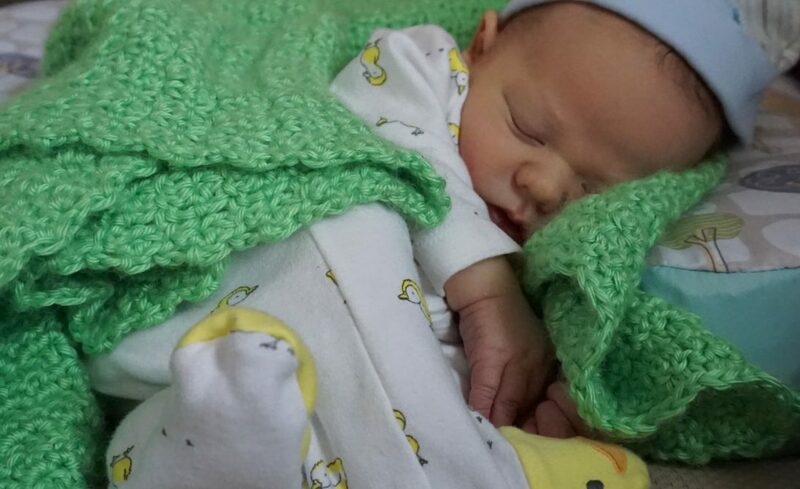 Bringing a brand new baby home is super hard and it’s so easy to feel like someone just handed you a ticking bomb to defuse without the manual or proper SWAT team training. I read the books, I really did, but I feel they may have been a tad incomprehensive. 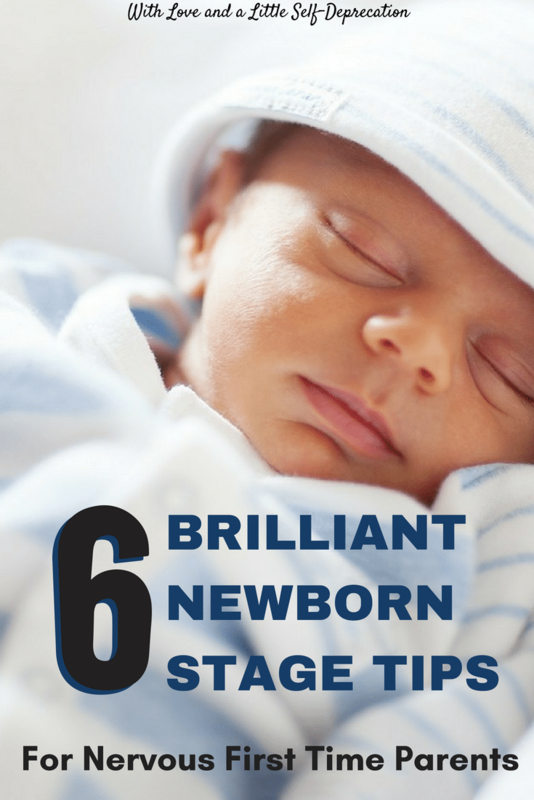 To bridge the gap, we learned some of what could make the newborn stage more manageable though good old trial and error. But most of it was learned from creep staring at other moms who looked like they knew what they were doing. Now I will never claim to be a super mom, but I did recently get two small humans from newborn stage to toddler hood with minimal psychological damage. 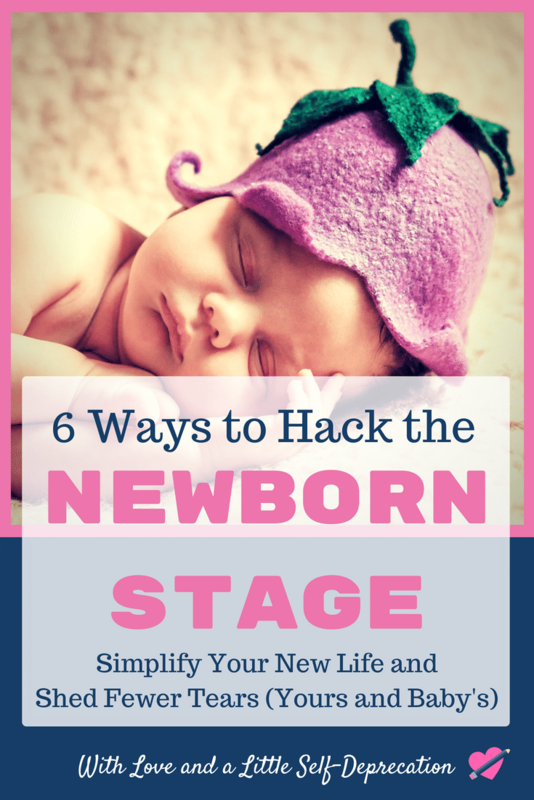 So here are the newborn hacks that worked well for us. Jack and Norah can attest, figuring these out made Jack’s life easier (eventually) and Norah’s life easier from day one. I also started crying a lot less. I’ll swear by zip up one piece pajamas for newborns until the day I die. But eventually the kid is going to need to wear some clothes. And most of those clothes will be onesies because 1) those little snaps keep the shirt from riding up their cute little bellies and 2) they can be quite whimsical. But the first time I tried to put a onesie on a newborn I thought I was going to break him. And he thought I was trying to break him. Perhaps putting clothing over your head is triggering for a human who just had to wiggle their way out of another dark hole. They don’t want to go back in at this point. They’ve invested too much in the whole breathing experiment. The solution? Put the onesie on by the feet. Roll the shoulder tabs out a bit, wiggle the onesie over their legs and bum and pull it up. You can then put their arms into the arm holes easily because their arms are already pointing down. I promise you this works wonders. Shout out to the lady I was staring at during the hospital sponsored “New Moms Group” who slid the clean diaper under her baby’s bum while the dirty/wet diaper was still on. MIND BLOWN. This technique has saved me so many changing pad covers and made diaper changes faster. Slide it under, old diaper off, new diaper secured. Done and done. My word, pumping breast milk can be awful. I did a lot of 2am pumping for both my kids and what saved me was hands free pumping, without buying a fancy pumping bra. I took a sports bra and pulled a Mean Girls snippety snip for easy access. Then I slept like that with some breast pads tucked in to cover the holes. Another brilliant pumping hack? Put your pump parts in a large zip lock bag in the fridge between uses so that you don’t need to wash them 14 million times a day. I was pumping exclusively because I was the worst breast feeder of all time, so I had two sets of parts and would wash them once a day. Big props to my friend who taught me this after she came over and saw me scrubbing pump parts with tears streaming down my face. HUGE props. Credit where credit is due. The Happiest Baby on the Block book told me about white noise. In the fourth trimester, babies are living outside of the womb when they would really prefer to be inside the womb but have been evicted due to head size and science. Therefore they really crave the soothing womb sounds of your body. They are used to the white noise of your heart and bloodstream doing their thing on the daily. But I was reading The Happiest Baby on the Block before I had kids. So it was, in itself, white noise. Did not sink in, whatsoever. However, just a few days after having my son I was wandering around with him in the dark and I accidentally turned on the bathroom fan instead of the light. Suddenly the crying baby in my arms was silent. It was magical. For the next several weeks whenever Jack would get a little bent of shape because his parents didn’t know what they were doing, I would turn on the bathroom fan, or the oven fan, or the vaccuum and he would settle into a beautiful calm. My brain was going to explode from the noise at first, but I got used to it. He was happy, I was happy. Three part series on this one because sleep is important. 1. The Rock n’ Play: Oh, I’ve already written about this? Was it a twenty page love letter with addendums and charts? No? Then it wasn’t enough. My favorite baby product of all time. The baby product GOAT. It’s simple, but man is it effective. Nap time, for the win. 2. Velcro Closure Sleep Sacks: I understand that Mary swaddled Jesus and that it is literally God’s way, but I was an awful swaddler. Just the worst. Enter sleep sacks with Velcro. Secure little bundle, no 3:30am origami. 3. Co-Sleeper: We had a bassinet, but looking back on it a co-sleeper sounds pretty smart. Especially for breastfeeding mamas. My friends over at ThinkBaby have a great piece about different co-sleeper options. Go check it out. Overall – take what you can get in the sleep category, mamas and papas. Hang in there. Putting a baby into a bucket car seat can be rough as a first time parent. There are lots of buckles and straps and one very confused newborn who doesn’t understand why you put him or her down. First time I put Jack in his seat I was sweating bullets. I even had to call my husband at work to ask him how to tighten it… Not great. But we learned pretty quickly that even if getting the baby into the carseat caused some parent and child tears, we could remedy the situation with motion. We would swing the bucket seat back and forth (after making sure the little human was VERY securely fastened), and the rocking would calm him down almost instantly. If that didn’t work, we went to the pacifier. There’s nothing wrong with pacifiers. My wisdom well is now totally dry. I hope you found a helpful nugget in here! Good luck with your sweet, soft, inconsiderate newborn. You’ve got this. Great hacks! I certainly second the “get sleep”! Sleep deprivation just makes everyone crazy. And for the breast-feeding moms (I was so terrible at pumping! ), a big scarf is a good–and more fashionable–option for a little modest public breast-feeding (I breastfed my kids everywhere, a necessity with twins) than those weird breast-feeding tents. Yes! I had a good scarf for pumping at home when we had guests and I was feeling super awkward. My lifesaver was the Beco Gemini, and later the Tula, but any well-made baby carrier will do. People have favorites and they have A LOT of opinions about their favorites. You could google and read for, well, nine months. The takeaway here is WEAR THAT BABY. Baby gets to be held which is their entire life goals and mama get a free hand which I could use for handling important house stuff or grocery shopping but mostly fixing myself snacks and working the remote. Rest when baby is chill, ya know? I knew I should have emailed you before writing this. I was the worst baby wearer EVER but I know people swear by it. The rock n play is a life saver I don’t think we would have made it with out one! Best product EVER! I don’t know what we were thinking skipping this with our first.